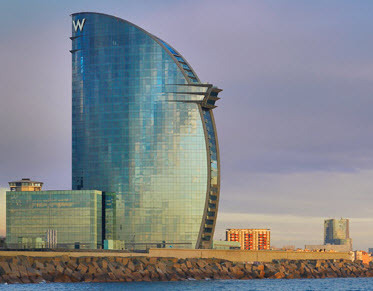 Our “Call for Speakers” is officially open for Tableau’s European Customer Conference in Barcelona, April 2-4, 2012 at the W hotel. What’s the Tableau story you’re excited to share? Last year’s inaugural European Customer Conference in Amsterdam was a fantastic success. With customers travelling from over 20 countries, the event was filled with great product information, hands-on learning, memorable parties and fantastic customer stories. What makes a great Tableau customer presentation? We’re looking for engaging presenters whose Tableau story will keep attendees on the edge of their seats then take new ideas home to get more out of Tableau. Effective presentations do a great job with storytelling basics: what was your challenge? how did Tableau help? what was the impact? What recommendations do you have for fellow Tableau users? Want to use Tableau as part of your story? Needless to say, we love that. Submit your topic idea today with this application form. We’ll set-up an amazing venue and invite the audience – you bring the story. Looking forward to hearing from you! Proposals are due by Friday, December 16, 2011! When and where is the conference? That information would help a lot, and I can't easily find it. We'll be announcing the exact time and place soon - stay turned! hint: attached document says Barcelona. Barcelona it is! We announced at the Tableau Customer Conference in Las Vegas last week that the European Tableau Customer Conference will take place in Barcelona, 2-4 April, 2012. Looking forward to seeing all of your customer session submissions. Great, it's Barcelona. But where in Barcelona? Which hotel? W hotel, Barcelona. It's absolutely spectacular! Why do I get an error whenever I click the application form? Could you please fix this? Thank you..
Refreshed the link for the application form - hopefully this helps!